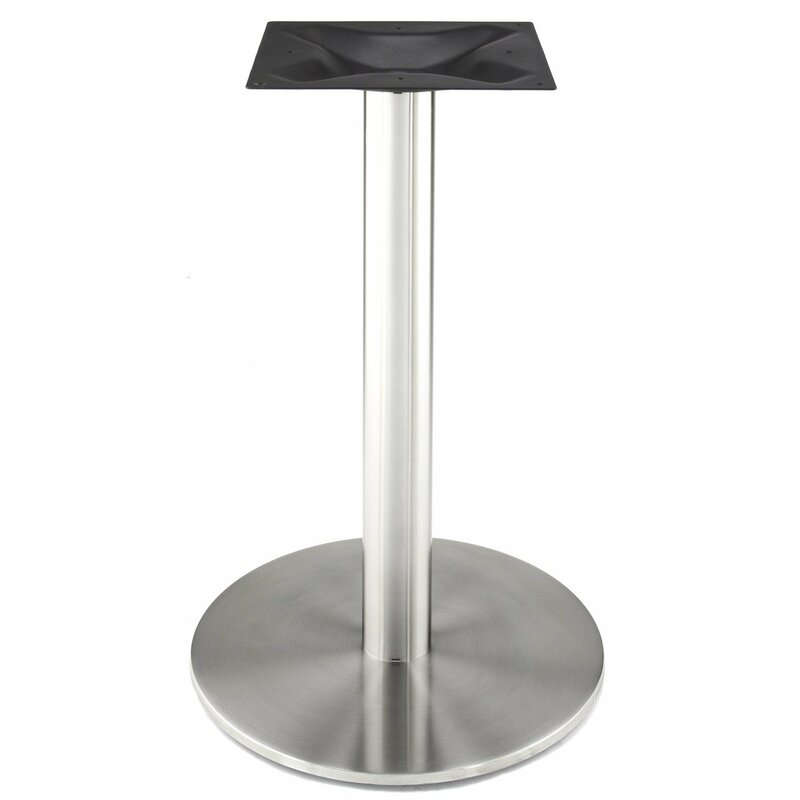 Olivia Table Base (450 RFL) 18"
The model series is great for indoor and outdoor use. Great for dining, restaurant, home or and commercial applications of all kinds. Has a 12” mounting plate with 3” diameter column with a commercial grade brushed stainless steel finish? 304 Grade Stainless commercial quality column. recommended top sizes for this base would be Round tops approx. 20", 30", 36" or Square tops 24", 30", 36" The base is 18"
Olivia Table Bases (540 RFL) 21"
Olivia Table Bases Stainless & Wood (540 RFL) 21"
Olivia Table Bases (750 RFL) 30"